Blue and Gold Spirit Bracelet. (One piece). 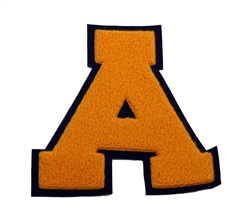 Sports Letter : 5" x 7", Chenille; Junior Varsity.